Rất tiếc, mục này chỉ tồn tại ở Tiếng Anh (Mỹ) và Tiếng Thái. For the sake of viewer convenience, the content is shown below in this site default language. You may click one of the links to switch the site language to another available language. Prior to assuming this role, he served as the Senior Director of the Thai Translation Infrastructure Support Division, comprising Human Resources, Information Technology and Corporate Security worldwide. He holds a Chinese Language and a Business Administration degree, and a master of Monozukuri and Lean Method, which includes quality, strategy, process, system and management assessments. He always puts efficiency and quality first in work production. 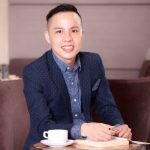 What is interesting about Louis Dinh is not only his great efforts to develop his career but also the way he establishes valuable relationships with people around him which nurtures his abundance thinking. He is member of the Steering Board of the Vietnam Translation Association, vice-president of the Asian Association of Translation Industry (AATI), which supports enterprises in their global business and local businesses to fulfill their global mission. Louis is also a founding member of the Millionaire House and other clubs, where he has taken and given a series of life lessons from relationships around him. Holding a degree of Business Management, Giang founded Thai Translation Global Company 8 years ago with Louis. He has valuable experience in managing our sales team and possesses excellent negotiation skills; that is the reason why he has been able to help boost Thai Translation’ revenue in the last three years when Thai Translation reached the global market. As an MA of Economics, Van is Brand Manager of Thai Translation Global Company. She has over 15 years of experience in branding consulting and communication. “Be the best pencil you can be” – our personal mission is to become your “whole-hearted companion“ in the course of brand development for enterprises; Van has participated in creating and developing our successful brand and, at the same time, holds the position of brand manager on demand. In addition, Van also engages in consulting, instructing and teaching about brand strategy, positioning, and brand awareness system development for organizations and enterprises. She is a regular author of various articles and research papers on brand building which have been published on many newspapers, e-magazines and forums. Before founding Thai Translation Global, Nga has had over ten years of working experience at the Ministry of Justice, Vietnamnet E-newspaper and Gia Pham Law Firm as Senior Associate. She graduated from Hanoi University of Law – LL.B (2000); University of Foreign Languages (2001); Judicial Academy (2005) and Vietnam National University of Hanoi – LL.M (2007). Ngan has exceptional consulting expertise in the fields of investment, real estate, construction, corporate, M&A, tax, risk management, commerce for enterprises and organizations, contracts for large scale projects. Since Yoshiki started out as a Japanese freelance translator in 1990, he has established extensive networks in Japan and all over the world. Besides more than 20 years of experiences in translation industry, his great activity will lead your Japanese business toward success. He operates a translation company in Japan and also roles as Director of Membership Management and Marketing (Japan) in Association of Asian Translation Industry. Mr.Seang Sopagna is currently the managing director of Bridge International Translation based in Phnom Penh, Cambodia. He is a well-respected interpreter in Cambodia. He has been engaged as an interpreter in various high profile settings such as the judicial training in The Hague, 2nd ASEAN-EU Business Summit, high level lecture by British Foreign Minister, and Town hall discussion with Madam Hilary R. Clinton. He is now a senior interpreter at the Extraordinary Chambers in the Courts of Cambodia. Mr.Seang Sopagna is also a researcher at the International Relations Institute. He holds a Master’s Degree in Public Policy and Management from Carnegie Mellon University, Australia and Master’s Degree in Economics from the Royal Academy of Cambodia.